Icon has released a plethora of amazing machines, and has more coming down the pike. 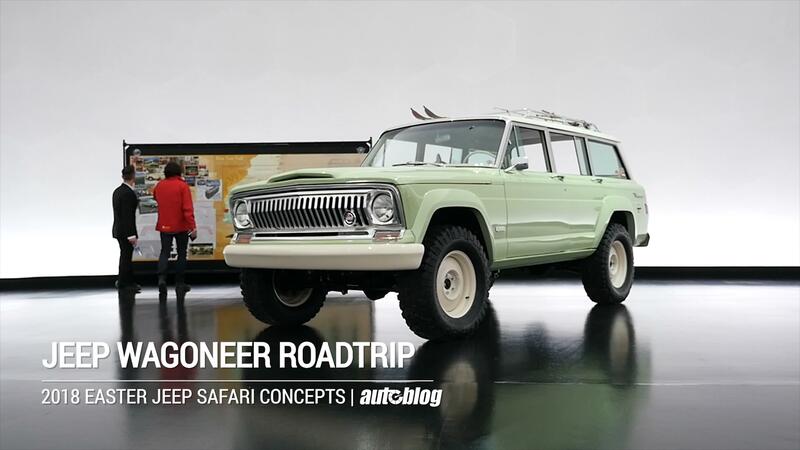 One of the company's latest creations is a Jeep Wagoneer that was done as part of Icon's Reformer line, which Jonathan Ward, the head of Icon, explains is a thorough restoration and upgrade, but with a fresh restored finish. This is in contrast to the company's Derelict series that keeps the rough exterior while upgrading everything underneath. And the level of detail in the Reformer Wagoneer is amazing, as shown by this video from The Hoonigans in which Ward gives a tour of the SUV. Starting on the outside, the truck is pretty close to stock in appearance, though the color and faux wood trim were never offered on it. Badges are a mix of originals, and a few tweaked ones for use on this Jeep. For instance, the front fender badges now feature the engine displacement of the Chevy LS V8 under the hood. Also, the round Jeep badges front and rear now have the Icon lizard badge. Inside, custom upholstery was added featuring patio furniture fabric for durability and the nifty pattern. Anything that would have been plastic, such as some of the chrome trim and the gauge cluster fascia, or vinyl, such as the door panels, have been upgraded to genuine metal or leather components. Icon even re-created a casting for the steering wheel to replace the old one. As already mentioned, this Jeep Wagoneer has a Chevy LS V8 displacing 6.2 liters. It naturally connects to a four-wheel-drive system with a Dana 60-size rear axle and 44-size front axle. The chassis was built by Art Morrison, a company known for its custom vintage car chassis. The suspension consists of coilover shocks and springs from Fox Racing and Eibach respectively. This is all just a brief overview. Check out the whole video above for all the neat details.